Image found in an article on recoil.com. 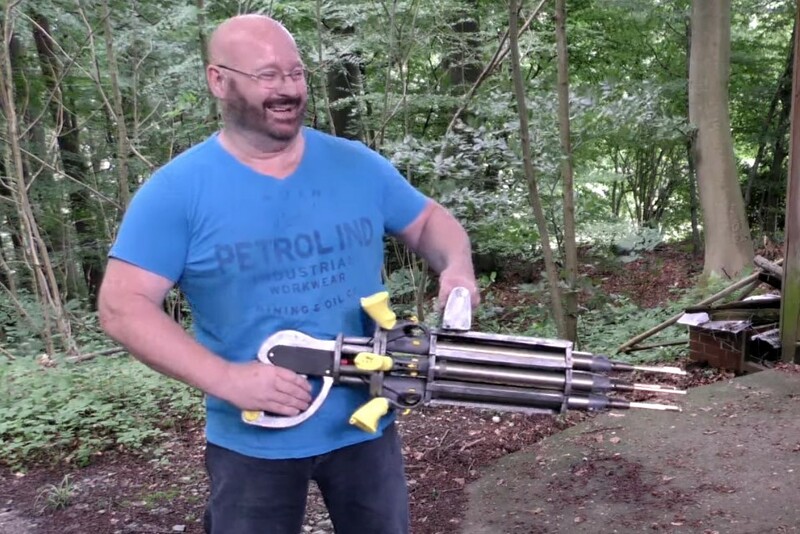 Joerg’s having a blast with a deadly contraption of his design. The Slingshot Channel is a Youtube channel led by probably the most clever woodworker on the platform — Joerg Sprave. He’s known for weaponizing stuff and creating deadly equipment like crossbows, airguns and so on. We think that he’s probably going to make his Turtle Rover into a mini tank, mounting a remote trigger pull and a crossbow or an airgun on top of it. We can see the viability of such a project in airsoft, law enforcement and other related branches of business. The addon he’ll be using will be most likely released as an STL file and available for purchase from our shop. Of course, there’s also a possibility that Joerg will build something completely different. Whatever he does, we trust him, his skill and ideas, since he has proven himself as quite a tinkerer a lot of times. Brave Wilderness is one of, if not the biggest animals-related channels on Youtube. Hosts of the show, including charismatic Coyote Peterson, traverse through bush, deserts, jungles and tundras, encountering interesting wildlife and providing compelling and educational commentary, while also occasionally getting stung and bitten by an insect or a turtle (apparently). Their series, which has been going on for a few years now has f.e. been recognized by Animal Planet, who have decided to invite BW to become a part of their team. The invitation was gladly accepted. The channel won’t, however, disappear and will be still alive. Why have we decided to team up with BW? Their movies are often times praised for production values, therefore using Turtle Rover to enhance production process, allowing them to get safe shots of dangerous animals from a distance is quite a premise to use our platform. They will be using a wide variety of our already existing camera holders and tilts, however we think that adding some protective equipment would also be a smart idea in their case. Turtle Rover can take a sting from a bullet ant without a problem, but being mauled by a bear would be a tad bit too much for it. We will surely be letting you know about the progress of these projects. Follow us on Twitter, if you want to be updated on our everyday work and undertakings such as influencer projects and new products. DIY Skin Care Tips : So pretty!